Are you serious? Amy Jackson Smith is serious. This Custom Agent123 Website was built to made to dominate in the hottest market in the country: Nashville Tennessee. We worked closely with Amy to build this beautiful custom real estate website with the design of her dreams. She provided some high quality custom photos and we provided the custom internet marketing techniques and code to target her top neighborhoods. Results: A beautiful site that ranks high on Google and gets lots of visitors for our Client. 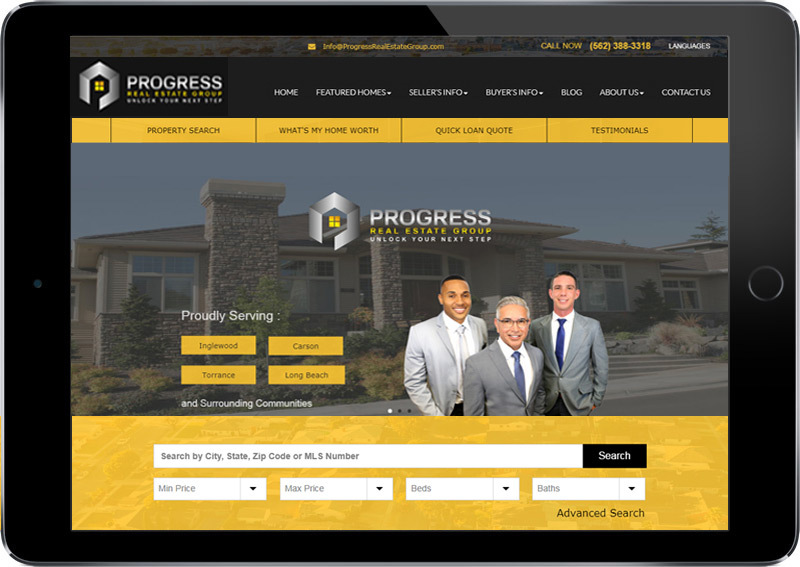 Progress Real Estate Group: Joseph Valdez directed us to build a wonderful Pro Agent123 Custom real estate website that shows him to be the expert in the INGLEWOOD Real Estate Market. Joseph’s great input and feedback allowed us to custom design marketing pages to communicate to his visitors that he truly has his fingers on the pulse of the Long Beach real estate market. How do you approach marketing to the largest city and real estate market in the USA? Localization and focus. Focus on market areas and the luxury market was the plan. Breaking down David’s key ten markets was the start. Custom IDX Market Searches and custom content was the middle game. Internet marketing to drive traffic and leads is the end game for this beautiful real estate website. Casey Gordon is the son of local real estate legend Buddy Gordon. Once part of the Buddy Gordon Team, it was time for Casey to build his own beautiful real estate website design. It was our job to make this a reality for this dynamic client. Casey travels in the luxury real estate markets of Los Angeles. We build custom IDX search pages to serve his visitors and to make Google take notice. This beautiful real estate agent website covers the luxury market from Malibu to Beverly Hills to Lake Sherwood and beyond with great exposure and mobile ease. How do you make San Diego look even better? Visit Tami Fuller’s custom website to find out. This beautiful real estate agent website frames San Diego and other communities nearby with luxury and style. RealtyTech built ten Community pages with custom IDX real estate search links to drive both Google traffic, but also the interests of her visitors. Tami Fuller is a powerhouse Realtor® with great knowledge and skill. 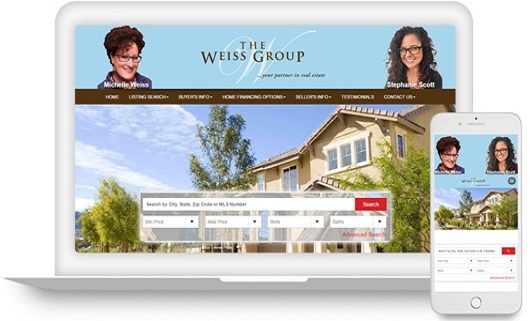 Her new beautiful custom real estate agent site provides the support and branding she needs to showcase those skills.